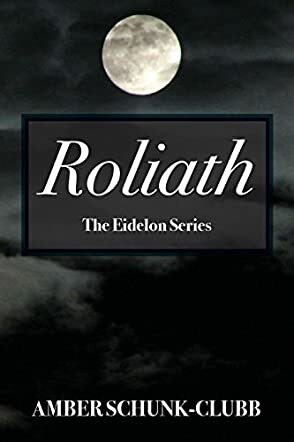 Roliath is a vampire novel and a stunning entry in The Eidelon Series by Amber Schunk Clubb, a book that will come across to fans of vampire stories as both a surprise and a delight. First, the author breaks the popular myths about vampires and makes them live in an intangible way in the society of normal men. The conflict that the characters experience results hugely from their unseen presence in a world of men, in their resolve to protect their kind by avoiding ruthless killing just to feed. Second, the author creates characters that are not just interesting but real, and fans will be longing to find out more about them and to fantasize about their world. Third, the story is both fast-paced and interesting, and the reader will want to rush through the pages, but the beautiful writing is a lure in itself. This epic story chronicles the life of a clan of vampires, the Eidelon, exploring the depths of one of the greatest of their kind. Readers are introduced to Geannifer Whitlence, Roliath and many other powerful vampires. But the high stakes in this novel are construed around an old-age conflict between the Eidelon and the Osirians. The story transports readers to a world where myth becomes alive, and fictional characters take on solid flesh. I couldn’t help but think about Amber Schunk Clubb in the ranks of Christopher Pike and his arresting series Thirst. The conflict is so beautifully developed and as readers get into the story, they are introduced to a whole new and interesting world, with its laws and customs, a world with its taboos also, a solid cast of characters, and a very rich plot. Roliath is a captivating story that will delight fans of the supernatural and vampire tales. A well-crafted and epic tale of struggle and triumph!